Share with your family, friends or loved ones your enthusiasm for alpaca! Sponsor an alpaca and enjoy the rewards of knowing that you play an important role in helping to care for an alpaca. Similar to "Adopting and Alpaca", sponsoring an alpaca also makes a unique gift for those who love alpaca for any occasion. Birthdays, Christmas or Hanukkah, Mother's Day, Father's Day, a Wedding Day, Valentine's Day, Earth Day, any day! The perfect gift for the alpaca enthusiast in your life; a great gift to begin a young persons education and exploration into the wonderful world of animals. A unique gift for groups such as scout troops, youth groups, school classes, families, clubs, businesses, etc. An ideal gift of honor or in memory of someone special that has passed away with this special gift of life. Owning an alpaca may not be possible for someone and with over 50 alpaca at our farm, we are very excited to share the best parts of the experience with you! Your participation in the program will assist help to help keep our alpacas healthy, happy and well fed! We hope that you can visit, to meet the alpacas in person and select the one your want to call your own or view their charachteristics on our alpaca sales pages. Each alpaca has their very own unique personality. We know there are many choices at Island Alpaca, and we will select one you will enjoy the most if you need help! Other: Specify Alpaca of your choice at Check-out. Your sponsorship funds goes toward helping with animal care, their grain, hay and pasture maintenance and veterinary care if necessary. - Receive a Certificate of Sponsorship by email of your alpaca. - Quarterly "pen-pal" updates on your chosen alpaca(s). - Name of Sponsor on your chosen alpaca(s) webpage. 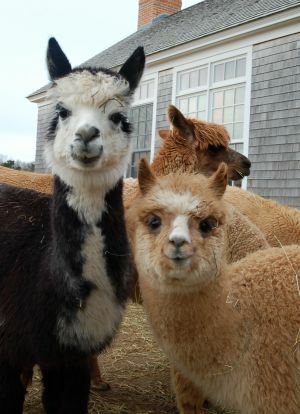 - Sponsor has unlimited farm visits during Island Alpaca visiting hours as a special VIP guest for one year. - Sponsor and a family member (up to 2 persons total), has unlimited farm visits during Island Alpaca visiting hours as our special VIP guests for one year. - Sponsor and family members (up to 4 persons total), have unlimited farm visits during Island Alpaca visiting hours as our special VIP guests for one year. 1) At Check-Out simply select your level of sponsorship desired, and specific alpaca(s) you wish to sponsor. Choose "Other" if you are selecting one other than the four listed, and put name of your chosen alpaca in the special notes section at check-out. 2) Next select "Gift Wrapping" if it is a gift, and write the message you would like for us to send by email along with the Sponsorship Certificate. If it is a gift for yourself, or wish to send along a message without our involvement, simply leave blank! 3) In the Special Request section of the Shopping Cart, enter the sponsors name, age (if under 18) and email address, and finally the date you wish for us to send the email certificate to them. (Include your email if you wish to be copied!) If you would like to send yourself, just let us know. Thank you for your support in alpaca sponsorships! Please note that any of our alpaca may be sold, or relocated during the year. If that is the case, we will offer to you an option to select another alpaca to sponsor!